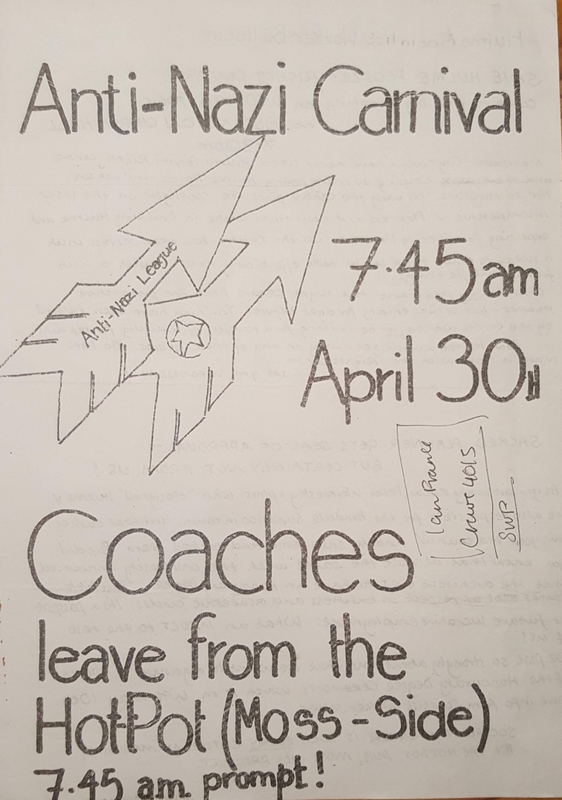 This is a poster advertising coaches to the first ever Anti Nazi League and Rock Against Racism Carnival held in London's Victoria Park, featuring the Clash, Steel Pulse and X-Ray Spex. It was this initial event that led to the Northern Carnival in Manchester just 10 weeks later. Geoff Brown helped to co-ordinate over 50 coaches from Manchester, filled with approximately 2500 people.